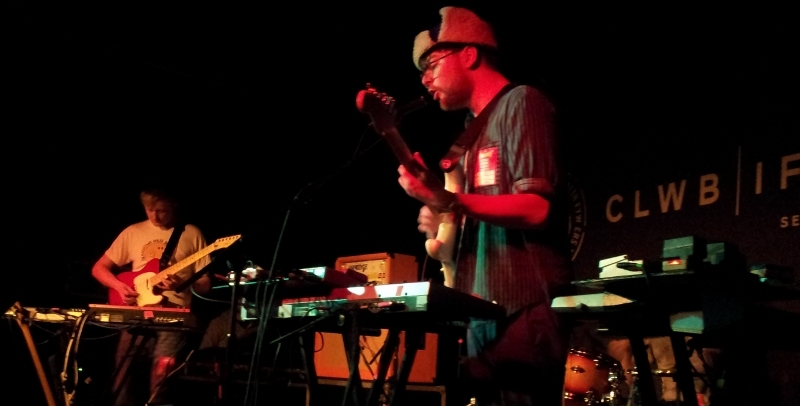 Last week, I went to see bright young electro-rock upstarts Errors and thoroughly enjoyed it (as indicated in my review of the evening), not least because of the exquisite guitar tones interspersing some incredibly animated synths. Me being the guitar nerd I am, I took a few photos of guitarists Steev Livingston and Simon Ward and their gear in an attempt to uncover what fuels the Errors guitar sound. As is becoming a running theme with many of the artists covered on EDGG, Fender is the brand of choice for the Glaswegian axe-men. Steev uses a white Fender Stratocaster, while Simon complements his guitar partner with a red Fender Telecaster. Amp-wise, the pair were utilising Orange TH30 Thunder heads, with matching PPC212 2×12 cabs: these proved to be sturdy, reliable tone machines onstage and for the audience. Finally, the boards, as is so often the case, are where the magic happens. Keen Errors fans will note the excellent pun here [the band’s latest album is entitled Have Some Faith in Magic]. Simon was sporting an impressive lineup of Electro-Harmonix pedals, including a Memory Boy, POG 2, XO Worm, NYC Big Muff, Little Big Muff and Cathedral, as well as a Boss TU-3, DS-1 and DD-3 and an MXR EQ. These were all powered by a T-Rex Fuel Tank Chameleon (bar the Worm, whose awkward 24V power requirement necessitates a wall-wart, but sounded excellent as a leslie-esque rotary emulator). Steev, on the other hand, opted for a simpler setup. EHX still reigned supreme with a Small Stone, Little Big Muff and Cathedral on his board, but a Boss TU-3 and DD-3 also made an appearance, as did a Dunlop Cry Baby and, unusually, a cheapo Chord CH-50 chorus. A T-Rex Fuel Tank Junior powered all this, while an ABY box allowed Steev to switch to a Boss RC-30 (not shown) which controlled synth loops and overdubs. 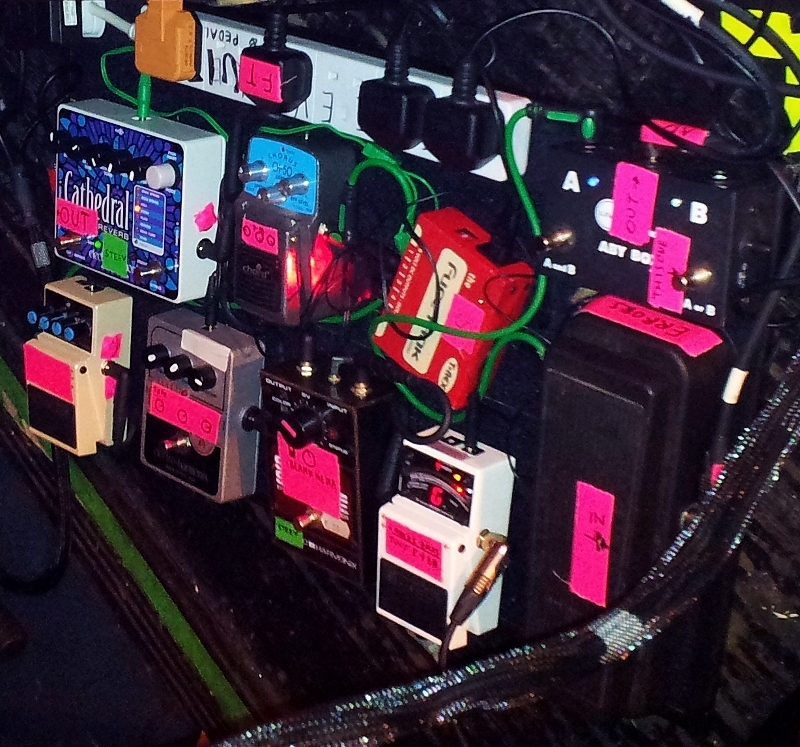 So there you have it: Errors’ guitar rig for 2012. With all the keyboards those guys have to deal with, it’s not surprising they keep it so simple but, my word, is it effective. Less equipment means there are fewer opportunities for errors too (sorry).